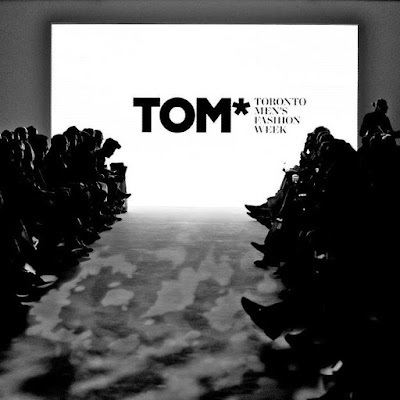 TORONTO – Toronto Men’s Fashion Week (TOM*) announced the details for their Fall/Winter 2016 Collections taking place at 444 Yonge Street, College Park on Monday, February 22 to Tuesday, March 1, 2016. TOM* will showcase the Fall/Winter 2016 Collections from: Caffery Van Horne, Candace Daniela, Christopher Bates, Dalla, Diodati by Luca Galardo, Finezza, Hip and Bone, Jaan Choxi, Just Ta, L’Momo, Maxivive, Travelling Tailor, Tuck Shop, Xian, Zane Barlas and TOM* Emerging Menswear Designer Award (EMDA) winners Joao Paulo Guedes and 3. Paradis. Additionally, on Thursday, February 25, TOM* will feature Mensfashion4hope, TOM*s charitable initiative. Mensfashion4hope will present Canadian celebrities wearing the latest menswear from GOTSTYLE™ with proceeds raised for SickKids through the Kol Hope Foundation for Children. Runway presentations will begin Wednesday, February 24 and continue through to February 26. Menswear trunk shows and showrooms will be held the following week. Hair and grooming is presented by American Crew, and M·A·C Cosmetics is the official makeup sponsor of TOM*. TOM* is made possible by World Financial Group (WFG), Downtown Yonge BIA, Tourism Toronto, Fashion Group International, Toronto Fashion Incubator, the City of Toronto and more.